There are so many top things to do in Adelaide with kids. Adelaide is a vibrant city, the CBD is well placed inside a collection of beautiful, established, and maintained parks and gardens. The River Torrens runs from the Adelaide Hills (where you will find some great wine! ), along the edge of the CBD, all the way to Glenelg Beach, only a short 20 minute drive away. So if you are wondering what things to do with kids in Adelaide, this post is for you! There are a variety of places to visit in Adelaide and in this post, I will highlight all the best Adelaide sightseeing as well how best to get around and a look at the best family accommodation Adelaide has to offer. 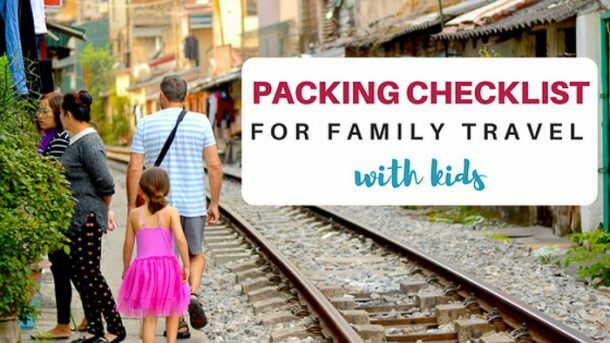 1.12 Download our FREE Printable Packing Checklist!! 1.13 We will email you a link to your FREE packing checklist. 4.1 You have Successfully Subscribed! Adelaide has some of the biggest festivals in Australia, even some right in the CBD! If you are looking for the best things to do in Adelaide at night and things to do in Adelaide for free, festivals are great. Full of magic and wonder they are great for getting immersed in a vibe, especially if you are looking for things for kids to do in Adelaide. I have picked some family friendly festivals to focus on. Check these out to get a handle on what’s out there. The Adelaide Fringe festival is jam packed, the nations largest open-access arts festival, is internationally renowned. Open access, means that anyone can perform during the fringe festival, run over 31 days, with heaps of fun activities in Adelaide, the surrounding suburbs and some regional areas. 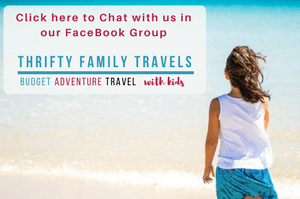 Looking for things to do in Adelaide for families? Children’s specific events, and magic shows are a plenty, described by organisers as mythical, magical and fantabulous, if you are looking for fun things to do in Adelaide for kids and you are in town during February and March, it is definitely worth checking out. To find out what events are on you can use this easy search engine, just select more filters and suitability to locate all “G” rated events and details, for family friendly events. You will even find free things to do in Adelaide here. Held at the Botanic Gardens, Adelaide CBD, the WOMAdelaide festival is perfect if you are looking for family things to do in Adelaide. With daily free activities for kids, and free entry to under 12’s when accompanied by an adult, prices for 1 adult start at $148. Described as a Global Village, WOMAdelaide is definitely on the list, of Adelaide experiences. Live music, international food, and street performances, along with other cool things to do in Adelaide, will excite and engage everyone. From infants to grandparents, family activities Adelaide are overflowing at the WOMAdelaide festival. The Kidzone offers free activities Adelaide, including a “Nature Village” Playground, the “Kaurna Classroom” for Indigenous Culture, language and fun, and regular “Storytime” under the trees. These fun Adelaide activities are available daily during the festival. DreamBIG Children’s Festival is held every 2 years, primarily an arts festival for schools and, all children, it is bursting with family activities. It aims to make children a part of it’s imaginative and inspiring arts experiences. On the cheaper side of festival tickets, we are advised at the time of publishing they will range between $10 and $30. The Big Family Weekend, a major festival event, boasts free activities for children of all ages, across the city. In 2017 over 33 000 children and families attended this event, to DreamBig. The city is redesigned to engage and inspire, creation, Amazing kids activities are far and wide, check out some of the 2017 highlights here. Bordering the Adelaide CBD, one of the must see Adelaide attractions is the Adelaide Zoo. Not your everyday sightseeing in Adelaide, you will find a Sumatran Tiger, Hippopotamus, Common Wombat and, Giant Panda to name a few. Meander through the zoo’s generous 8 hectare space to view many of the 2500 animals, on an entry fee only. Take a free guided “Walkabout Tour” to visit with, and learn about each of the animals. Tours leave at scheduled times, click here to view a map and read more. Select an “Animal Experience” to get up close with and feed exotic animals. Giant Panda’s and Meerkat’s included, click here to book online tickets for the Giraffe Feed. A free playground is located near the café, the Adelaide Zoo is open from 9:30am – 5pm every day of the year, exhibit opening hours vary. Entry is $35 for adults and $19.50 for children, a one day family pass (2 adults and 2-3 children) is $89.50. Click here to purchase tickets online. Add the Zoo to your Adelaide itinerary for fun things to do in Adelaide for kids! Glenelg is located 20 minutes outside of the city centre. You can drive, take a bus, or even ride the tram to Stop 17 Mosley Square. Looking for fun places to go in Adelaide with the kids? 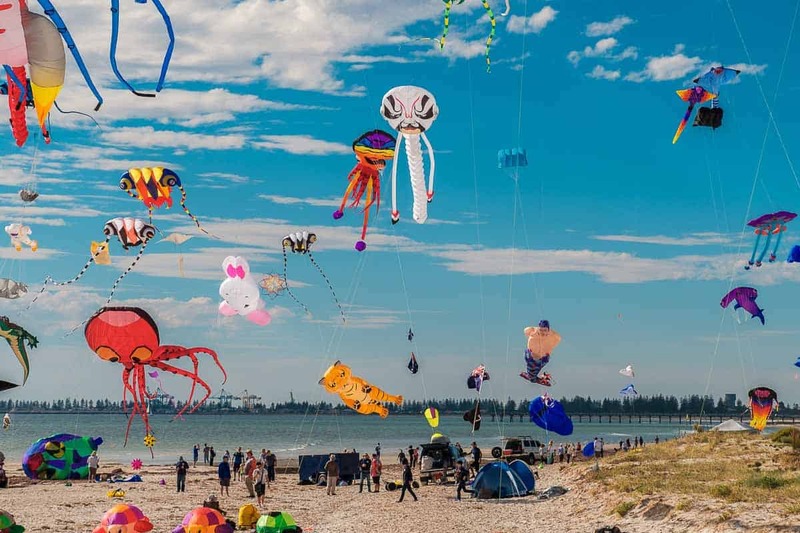 Glenelg is a hot spot for fun, the beach, wildlife, indoor and outdoor playgrounds and café’s and shopping spots, including Jetty Road and Mosley Square. Myla and I just loved it here – it is so family friendly. I think if I was ever to come back to Adelaide I would stay here in Glenelg and commute into the CBD. If you are interested there are a range of tour opportunities where you can swim with the dolphins. Click here for more information or to make a booking. 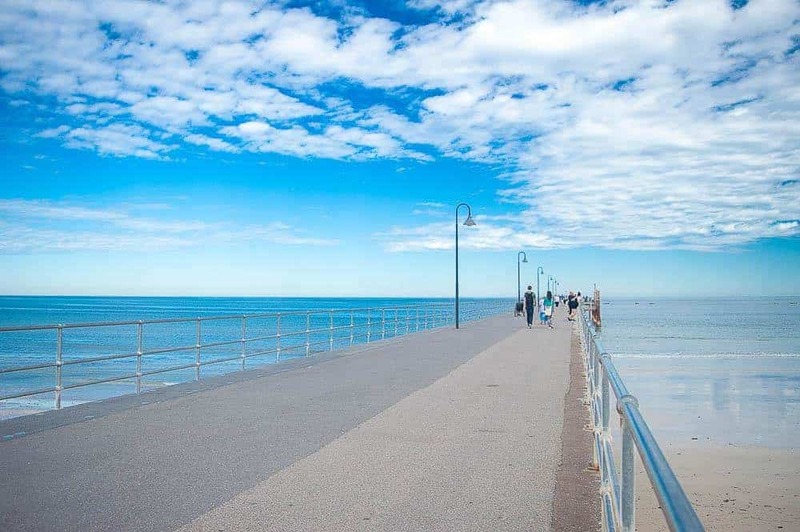 Click here for our detailed post about things to do in Glenelg. 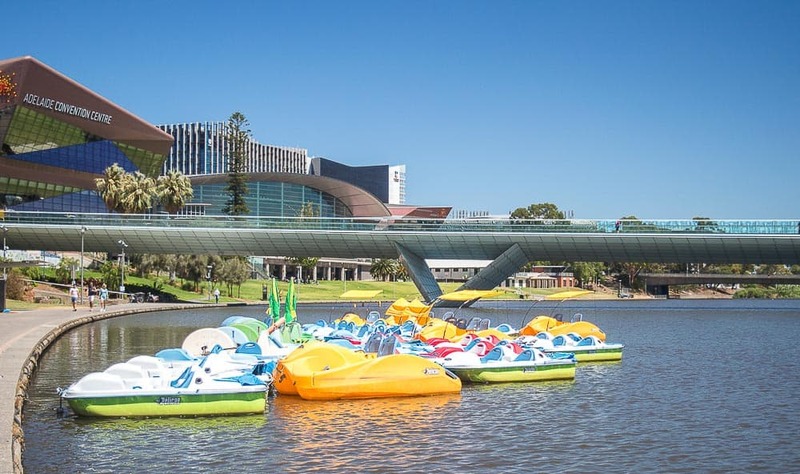 Bordering the Adelaide CBD and flowing to the Indian Ocean at Glenelg, the River Torrens is one of the beautiful Adelaide sights. A great way to experience the River is by taking a cruise, you can view some of the Adelaide points of interest from the comfort of a boat. Or hire a paddle boat, $20 for 20 mins. Myla and I took the cruise up the Torrens, which was a lovely way to see the city. Adelaide really is a beautiful city with various parklands along the river. Click here for details on a tour which includes a cruise on the Torrens as well as a sightseeing tour around Adelaide city. For a unique glimpse into prison life, visit the Adelaide Gaol, one of South Australia’s oldest public buildings. The gaol operated from 1841 to 1988 and housed around 300,000 prisoners. Whilst exploring the original cell blocks, the hanging tower, yards and prisoner graves, you can learn about the various prisoners who once called the gaol home. Perhaps an excursions for older children, the gaol is located at 18 Gaol Road and is open 7 days. Entry is $14.50 per adult and $9 per child, with family passes available. If you are keen you can even book a ghost tour through the Adelaide Gaol – this tour is strictly for children over 12 years of age. Click here for more information and / or to make a booking. 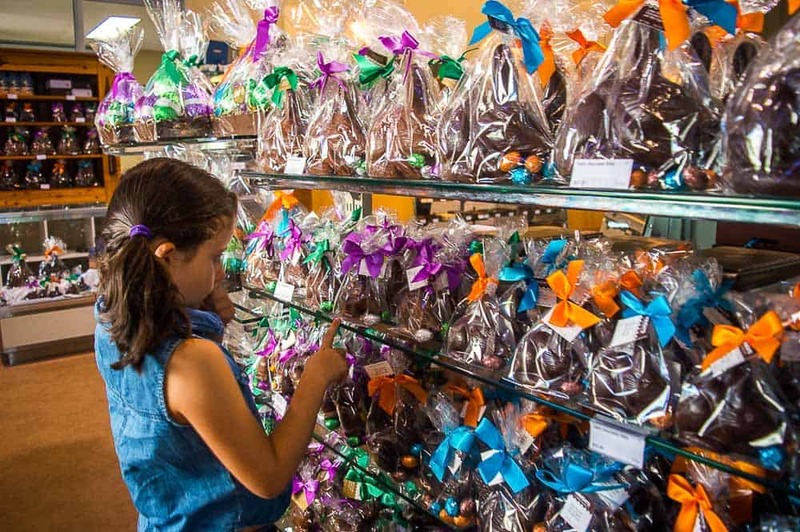 When you visit Adelaide, check out the Haigh’s Chocolate Factory! Family owned and operated, Haigh’s chocolates is an Adelaide must see for families. The Haigh Family have been making fine chocolates from the cocoa bean since 1915, and even run a free tour of the chocolate factory! See a team of confectioners hand finish mouth watering chocolates, enjoy tastings and complimentary tea and coffee. We have visited quite a few chocolate factories and done a few tours in our time, and in view this is one of the better ones. It is just a small factory and through the viewing windows you have the opportunity to see so much. There is plenty to taste along the way too – their chocolate is amazing!! All the staff here are super friendly too – I guess who wouldn’t be working around chocolate all day! Tours operate daily at the Visitor Centre, a 6 minute drive from the city centre, at 154 Greenhill Road, Parkside, South Australia. Alternatively take the free tram to the South Terrace stop and its a short 10 minute walk from there. Bookings can be made via phone (08 8372 7070) at least a day before. The Migration Museum is an interesting place to learn more about the people who have settled in South Australia since 1836 as well as the impact this had on the Indigenous South Australian people. Displayed throughout the museum are a range of objects, documents, photographs, video material, costume and textiles which represent South Australia’s immigration and settlement history. There are plenty of hands on activities for the kids including pull out drawers, computer interactives which bring stories to life and fascinating Detective Trails of discovery you can pursue through the exhibition galleries! If you visit during the school holidays the museum offers some great activities for the kids. The Migration Museum is located at 82 Kintore Avenue Adelaide and is open daily with admission being free. 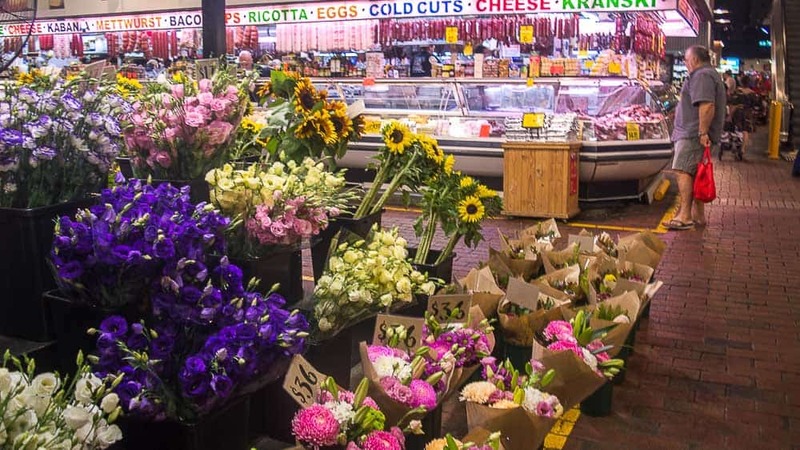 Feast your eyes on the fresh and abundant fruit and vegetables, meat and poultry, seafood and cheeses, on offer at one of the top Adelaide tourist attractions, The Adelaide Central Market. Maybe not one of the free activities Adelaide has available, as you may walk out with your arms full! The Market is free to enter and meander around, great for a hot or rainy day, it is the largest under cover market in the Southern Hemisphere. Something for everyone, popular cafes, bakeries, small goods and health foods also inhabit the market space. This is a great place to wander around and have a meal. If you don’t travel light like we do, you might be tempted to buy quite a few goodies too! Sports obsessed families will no doubt love to check out the Adelaide Oval and cricket fans will want to explore the Donald Bradman Collection. You can join an Adelaide Oval tour where you will see behind the scenes of the sporting arena. Guests can visit a number of usually unaccesible area and learn about the history of the oval and hear stories of sporting legends. Tours are held daily and cost $24 per adult and $14 per child (under 5s are free). Click here to make an online booking. You can even climb the Adelaide Oval roof if you are that way incline – click here for information or to make a booking. Learn more about Sir Donald Bradman, the greatest batsman in the history of cricket by viewing a collection of cricket memorabilia spanning from 1927 to 1977. You can watch footage of Bradman in action as well as test your own skills with the interactive museum. You can view the collection daily and admission is free. One of the most visited in Australia and definitely among the top 10 things to do in Adelaide. 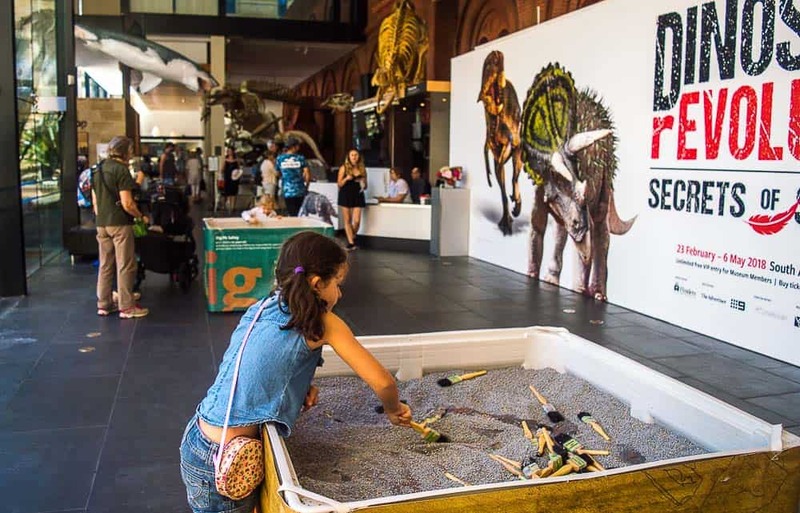 With five floors of exhibits covering fossils, mammals, Ancient Egypt, special exhibition spaces and more plus Aboriginal and Pacific Cultures collections, the SA Museum offers plenty for young and old. With so many interactive hands on activities, Myla absolutely loved it here, she particularly loved checking out the various world mammals, learning about the various South Australian biodiversity and checking out the giant squid which spans across four floors dangling in an elevator shaft! If you are wondering where to go in Adelaide during school holidays, try the Museum, with free school holiday programs attracting more than 5000 school kids each school holiday period. For kids younger than school age the museum has designed specific experiences, check out these cool programs to engage their senses. For kids aged 3-5, this interactive experience is facilitated by museum staff for free! Designed to engage the senses, the Young Explorers program is very popular, you can book your free ticket online here. The Discovery Centre Team located on level 1, can help with any questions about exhibits or even specimens you bring in! Here you can see bees making honey, sure to keep little, and big kids busy for a while. The Discovery Centre is open from 11am-4pm weekdays, and 11am-3pm weekends and public holidays. The Museum is open every day from 10am–5pm, including weekends and public holidays. One of the major tourist places in Adelaide, entry is free, however some exhibitions may have a cost. The Museum Café is open from 10am daily, with plenty of local food and kids staples. Trip Advisor Certificate of Excellence Winner 2015. On the outskirts of the CBD you will find the Adelaide Botanic Gardens. With several different areas to explore including the First Creek Wetland, Garden of Health, SA Water Mediterranean Garden, International Rose Garden and the Australian Native Garden, there are plenty of opportunities to teach the kids all about various elements of the environment. Take the kids to Little Sprouts Kitchen Garden where kids can learn more about where their food comes from. The area includes garden bes with fruit, vegetables, herbs, compost, worms and various work benches. Stroll through the area or book in for a session with a qualified Kitchen Garden Educator. Click here for more information. The Adelaide Botanic Gardens is located on North Terrace and is open daily. Entry is free. The Art Gallery of SA has various exhibitions and programs on throughout the year to ensure even the youngest child can appreciate art. Kids will love visiting the Studio, a hands on activity space which is changed regularly to reflect whatever exhibitions are on at the gallery. If you are around on the weekend check out their START at the Gallery program which is held on the first Sunday of each month. Its completely free and is a great way to introduce visual arts to children. Click here for more information about what is on offer for children at the Art Gallery. Taking an Adelaide walking tour is a great way to explore the places to see in Adelaide. If you are in the mood to walk around with a friendly guide, check out Tours Around Adelaide, started by Ryan Carmody, Ryan grew up in Adelaide, loves to travel, and to take visitors to all the places of interest in Adelaide. 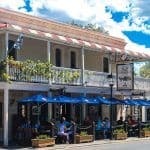 He offers 2 free walking tours, an Introduction to Adelaide City Tour and the Culture and History tour. 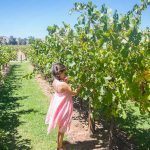 If you are feeling like a bit of a drive, or just want to explore the Adelaide area further, these Adelaide day trips detail some top places to visit near Adelaide. Barossa Valley: Enjoy the abundant green rolling hills and vineyard scenes, as you drive through one of the most famous wine producing regions of Australia. Click here for tour prices and / or to make a booking. 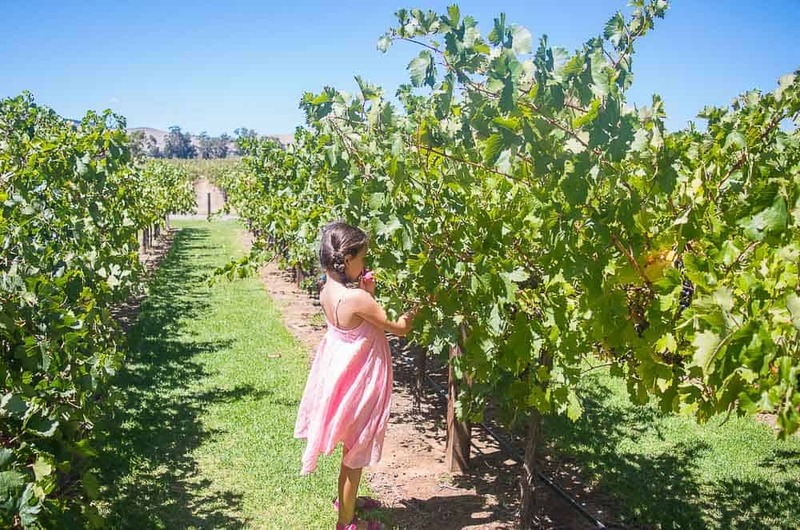 You can read our detailed post about visiting the Barossa with kids here. Adelaide Hills, Hahndorf and Mount Lofty: Enjoy the views to the City and Coastline from Adelaide’s highest peak, the Mount Lofty Summit, and a light meal and beer tasting in the German town of Hahndorf. Hahndorf has the world’s largest Rocking Horse! Only 30 minutes from Adelaide. Click here for tour prices and / or to make a booking. 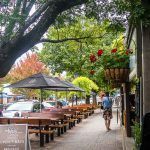 You can read our detailed post about visiting Hahndorf with kids here. Victor Harbor: Immerse yourself in the natural environment of seals, sea lions, dolphins and whales at Victor Harbor. Take the horse drawn tram over to Granite Island or board the Cockle Train for a scenic journey to Goolwa. Reports advise to eat at the “Original Fish and Chip Shop” on Ocean Street while in town. Approximately 1 hour and 10 minutes from the Adelaide CBD. Click here for your prices and / or to make a booking. 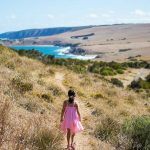 You can read our detailed post about Victor Harbor with kids here. Mannum: Take in the scenery on the way to Mannum, nestled on the Murray River, then picnic and play for the day, just 1hr 15 minutes drive away. Cleland Wildlife Park: Learning programs for all ages, and animals to get up close with, the cost for a family entry is $60. 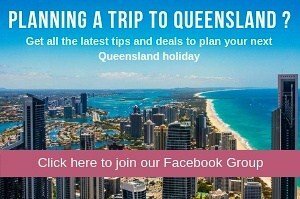 Click here for tour prices and / or make a booking. Click here to see a range of Adelaide day trips available and / or to make a booking. Not sure where to stay in Adelaide? See below details of some great options for family friendly Adelaide accommodation, including some of the best Adelaide city apartments. For Adelaide beach accommodation, click here for information on the best family friendly Glenelg accommodation. The Adelaide Riviera Hotel is located on Adelaide’s North Terrace and is only a 10 minute walk to the central area of Adelaide, 15 minute walk to the South Australian Museum and 15 minute walk to the Adelaide Oval. The Adelaide Riviera Hotel is great budget hotel close to family friendly sites. For families requiring an extra level of comfort, the Oaks Horizon is a great choice. The Oaks Horizon is among the best places in Adelaide, located in the heart of the CBD, a 9 minute walk to the South Australian Museum, 6 minute walk to the Rundle Mall and 12 minutes to the Adelaide Oval. This is a great option when looking for hotels in Adelaide City or self contained accommodation Adelaide. At the time of publishing the best rate was $369 per night for 2 adults and 2 children was on Booking.com. Whilst a little on the pricey side, the Majestic Hotel is one of the top rated family hotels in Adelaide. The Majestic Hotel Adelaide is located in the CBD, a 14 minute walk to the Adelaide Zoo, 16 minute bus ride to the Adelaide Oval and a 15 minute walk to the Botanic Gardens. If free unlimited WiFi is important to you, check out this hotel accommodation Adelaide has to offer. At the time of publishing the best rate was $330 per night for 2 adults and 2 children on booking.com. Adelaide is located in South Australia on the south coast of Australia. You can fly direct to Adelaide from various international destinations, or alternatively you can fly direct from most Australian capital cities. To reach the Adelaide CBD from the airport you have various options including Metro Bus, taxi or shuttle bus. It is approximately 30 minutes from the Airport to the CBD. In most cases for a family I would recommend a taxi or Uber. It will cost around $20 to $40 in a taxi or Uber and by the time you purchase various train or shuttle bus tickets for everyone in the family a taxi will be the cheaper option and more convenient. Bus: There are various bus stops across the Adelaide CBD and North Adelaide. No need to pay for any buses though, you can easily get around with the free buses, operating from 7:15 am to 7:15 pm on weekdays and 8:15 am to 6:15 pm on weekends. The buses are great and the best way to get around the various tourist attractions. Find out more about free buses here . I recommend printing off the free bus map and using these buses to get around to the various Adelaide attractions – that’s what we did and combined with the tram – this is an easy to get around the city. Tram: The Tram runs from the Entertainment Centre, through Adelaide and out to Glenelg. Within the CBD the tram is free as well within Glenelg (just not free between the CBD and Glenelg). Free Bike: Adelaide has a free bike for hire system. More than 500 bikes are available for hire from one of 20 city locations, just show some ID and fill out a form. You will be given a bike, helmet and lock for the day for free. Click here to find out where to hire a free bike. Car: Plenty of taxi’s and Uber in the Adelaide CBD or if you have your own car you can drive. However like most Australian capital cities, parking can be very expensive within the Adelaide CBD for this reason I don’t recommend driving yourself around the city. Walk: Any place you want to go will be between 5 to 30 minutes walk away – so you can easily walk wherever you like within Adelaide CBD. Just a word of warning that in the Summer months it can get super hot and pretty unbearable to walk long distances. 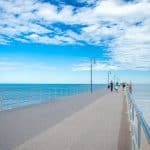 Getting to Glenelg: Glenelg is located 20 minutes outside of the city centre. You can drive, take a bus or even ride the tram to Stop 17 at Mosley Square. Click here for tram and bus timetables and fares. This website will also help you work out which is the best mode of transport to get you to where you are going. To enjoy all the attractions around the Adelaide area, I recommend you hire a car. However as stated above it is not necessary to have a car whilst you explore the Adelaide CBD, so save your money and don’t hire your car until you plan on leaving the CBD or exploring the surrounding areas. 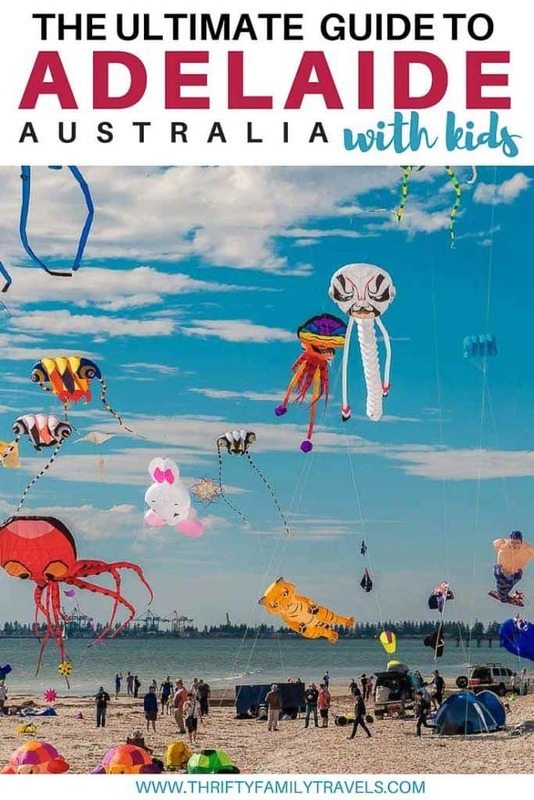 Get our Adelaide with Kids Guide FREE! Get our free guide which includes everything you need to know for a stress free trip to Adelaide with the kids. Start planning that Adelaide trip now!